High School Girls Flag Football season may be a couple of months away, but that did not prevent the East Bay Indians well-known program to earn yet another much-deserved recognition as well as adding its list of firsts. 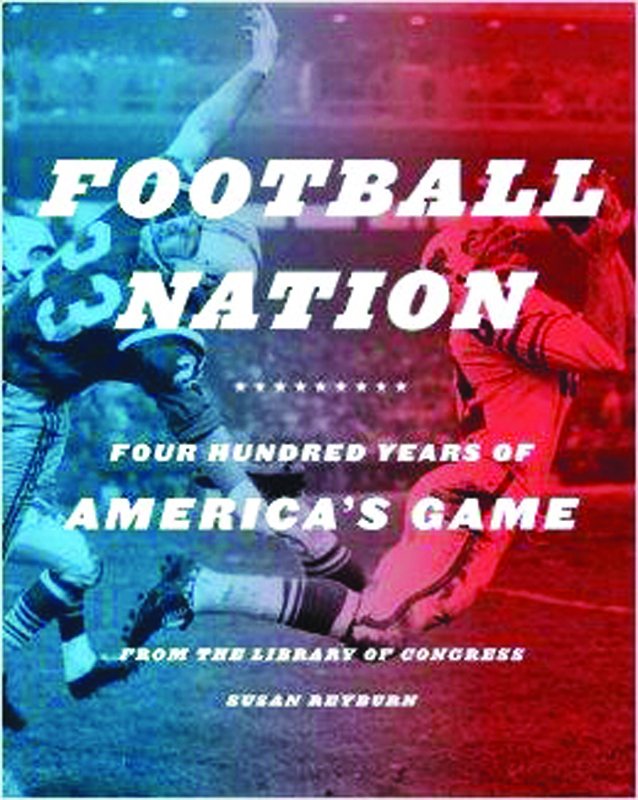 Program head coach, Michael Cooper, was proud to announce that the East Bay Indians Girl’s Flag Football program has made it to the Library of Congress, thanks to a book Football Nation: 400 Years of America’s Game by Susan Reyburn, released last month. A small 2012 team photo representing the program and its unquestionable success is found on page 247, making the school, the coach and all the girls ever involved feel as proud as winning any of the last five district conference titles. The book chronicles the history of football entertaining not only football lovers but history lovers as well amid the more than 400 illustrations as the author gets a touchdown through a narrative, which traces the history of the sport and how it evolved in a number of different directions. Reaching the American version, Rayburn touches on professional, college, high school, touch and flag football, with East Bay flag football making its debut. With last year’s 13-6 victory against Bloomingdale, the girls have won the district championship for the fifth time in seven seasons. As it has been reported before and acknowledged by many, Cooper’s love of the game and attention to the sport and its promotion has no rival in the region and possibly in the entire state. Excluding the 2011 season, the Indians have enjoyed the limelight as district champions in 2008, 2009, 2010, 2012 and 2013 leading the competition and simply playing for the love of the game and thrill of amateur competition. The Indians Flag Football program is about the start its eighth season. Getting noticed, however, is by no means a mistake but the result of hard work, commitment and passion for the sport, which will now continue to thrive in the Nation’s Capital for years to come. For more information about East Bay Flag Football, please visit www.ebhsgirlsflagfootball.com.